Owning a home takes time, money and hard work, but we can take some of that pressure off through our SaveNow Home Energy Rebate Program. What is the Home Energy Rebate Program? 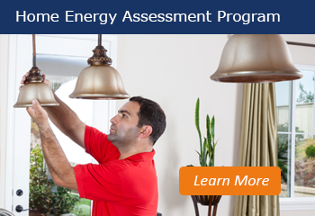 Our program can show you ways to save energy and improve your home value. If you are a CPS Energy customer and own your own home, you can receive valuable rebates for your upgrade projects to speed up your return on investment. To get started, fill out the form to the right and a member of our team will contact you to walk through the application process and answer questions on rebate requirements. Trusted, participating Trade Allies are available to assist you with your equipment installations. Please see Registered Trade Allies under Helpful Links for more information.